Looking for a quiet hotel, close to Eurexpo and main highways? Ibis Lyon Bron Eurexpo Hotel entices you with renovated rooms and homemade cuisine resto, open on weekdays. See you soon! 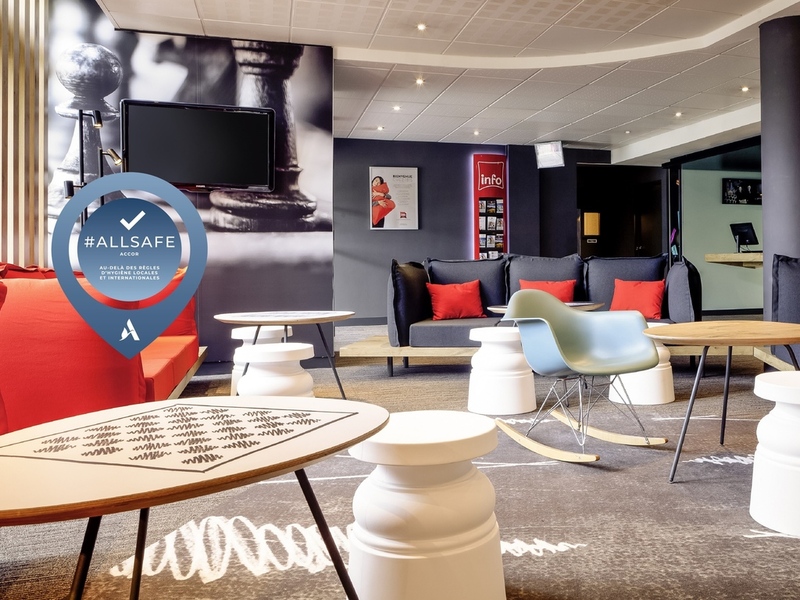 Ibis Lyon Bron Eurexpo located close to Eurexpo Convention and Exhibition Centre, South East of Lyon with 79 air-conditioned and soundproofed rooms, "Sweet Bed by Ibis" premium bedding, free very high speed WiFi. At your disposal: 24/7 reception, bar and restaurant offering homemade cuisine, with terrace. Park your vehicle safely in our enclosed free parking. Easy access via A43 and A46 motorways. Accessible by car or by public transport from Lyon Part Dieu, Perrache, Jean Macé, and Lyon Bron Airport, our 3-star hotel offers excellent value for your business or leisure stays. Dear guests, enjoy a meal in the sun on the terrace of our ibis Kitchen restaurant, which offers dishes freshly made by our chef. In a contemporary setting, our 79 soundproof and air-conditioned rooms are equipped with Sweet Bed by ibis bedding and mattress toppers to provide maximum comfort and a peaceful night's sleep. Very high-speed WiFi via fiber optics, large desk, power outlets, storage... To work or to relax, the Ibis room meets all your expectations. Come and enjoy our chef Bernard's home-made dishes and seasonal set menus. You can also choose from our à la carte menu offering starters, main courses and desserts. You'll also love our sunny terrace this summer. Enjoy a selection of international drinks and beers at the bar or in your room. Snacks or light bites can also be ordered to enjoy in the bar or in your room 24 hours a day, 7 days a week.